The junk selloff has made this a perfect time to take advantage of an illiquidity discount for the securities, according to Bill Gross. 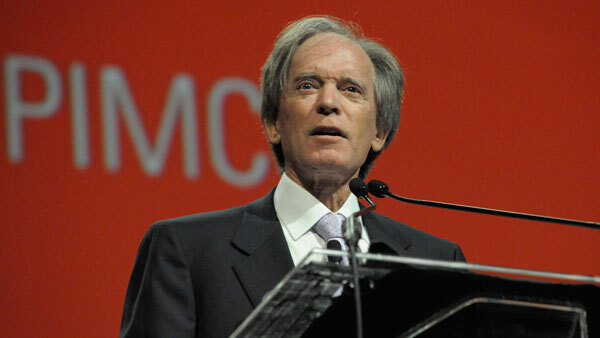 Bill Gross says the selloff in junk bonds is starting to make them look cheap compared with stocks. Going by one widely followed measure, it’s true. Amid an almost 6 percent selloff in high-yield debt this year, speculative-grade credit is yielding 3.52 percentage points more than stocks in the Standard & Poor’s 500 Index are earning — the widest spread since 2010, according to data compiled by Bloomberg. Since the start of the 6 1/2-year bull market, junk securities have held an advantage of less than half that — 1.36 percent — over equity counterparts, the data show. Speaking in an interview with CNBC on Monday, Gross, the manager of the $1.3 billion Janus Global Unconstrained Bond Fund, said the junk selloff has made this a “perfect time” to take advantage of an “illiquidity discount” for the securities. In the last 20 years, there have been two extended stretches during which junk bonds have held a large advantage on a yield/earnings yield basis — from December 1996 to August 2003, and from December 2007 to February 2010. In both occasions, the Bank of America Merrill Lynch U.S. High Yield Index outperformed the Standard & Poor’s 500 Index by more than 1.3 percentage points in the following three months, Bloomberg data show. The recent selloff in high-yield bonds has hit equity exchange-traded funds linked to the securities, including the SPDR Barclays High Yield Bond ETF and the iShares iBoxx $ High Yield Corporate Bond ETF, which both fell 5.1 percent from Dec. 2 through Dec. 14. Each rebounded more than 1.5 percent on Tuesday. The decline coincided with travails in at least three funds in recent days. Lucidus Capital Partners, founded in 2009 by former employees of Bruce Kovner’s Caxton Associates, said Monday it had liquidated its portfolio and plans to return the $900 million it has under management to investors next month. Funds run by Third Avenue Management and Stone Lion Capital Partners have stopped returning cash to investors, after clients sought to pull too much money.